You can walk off belly fat. 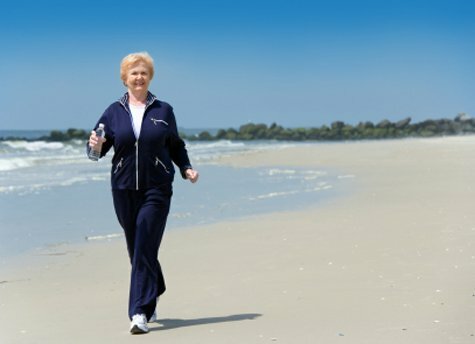 Here on the Florida beach, many people walk for health and fat loss as daily exercise. 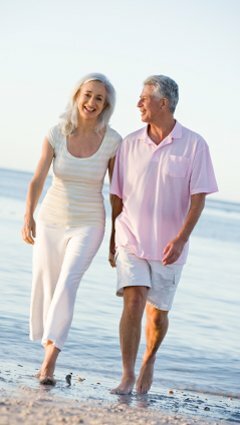 You too can lose fat by walking. Any solid diet program for fat loss is comprehensive in nature. It will ALWAYS include some form of mild cardio along with resistance exercise and reducing caloric intake to help you drop weight and make fat loss permanent. 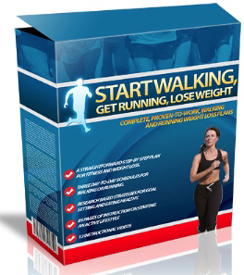 Walking is usually the first choice of cardio for people who have been sedentary for many years, but now want to reduce belly fat and improve their health. The Florida beaches offer the perfect environment to walk for health and fat loss. Here on Treasure Island, the beach from John's Pass to Blind Pass is three miles long. Those who do not wish to walk in the beautiful Florida beach sand can walk on the 1-mile long Treasure Island BeachTrail. Let me be realistic with you: There is NO WAY you can exercise-off the weight you want to lose. In order to get fat loss results, you must start making more positive food choices to reduce the calories you are taking in, and combine that with daily walking for 30-40 minutes. * Before you start any form of mild exercise or dieting, meet with your physician and tell him your fat loss goals. * Start cutting sugared foods and processed foods out of your daily meals. Replace them with fresh fruits, vegetables, and solid protein sources. * Start drinking more water. It will help you metabolize fat and flush the residue toxins out of your system. It is also great for your skin. * Start slowly with time, pace, and distance. Remember, your desire to walk off belly fat needs to be integrated into your lifestyle, it is not just a "sometimes" thing. * Wear comfortable clothes and sunscreen. Make sure your shoes are sturdy and comfortable for the surface you are walking on. * Some people always go barefoot during their walking for exercise here on the beach. (Since I run, I do not do it.) It's up to you. Just be watchful. * Since you will be outdoors more, you will want to keep your skin looking youthful. Women here on our beach use simple homemade moisturizers to keep their skin soft and prevent wrinkles. You can walk off belly fat. Hundreds of women have done it, but you must combine your walking with positive changes in your diet. Have you dreamed of becoming a travel writer online, from your own home?